When we were in Italy a few months ago, there were two things that we scheduled in like vitamins: gelato and cappuccino. Twice a day folks. Twice a day. And actually, the cappuccino was more like 5 times a day for Bill. He was in his GLORY!!!!!!! When I showed him the Nespresso Pixie and Aeroccino Plus had arrived earlier this week, I think he hit the floor with excitement. We actually had friends over – we were entertaining a family of four. BUT that didn’t stop Bill from setting up the machine. He was determined to share a cappuccinos with his buddy. You think I’m kidding – the boy was ecstatic! 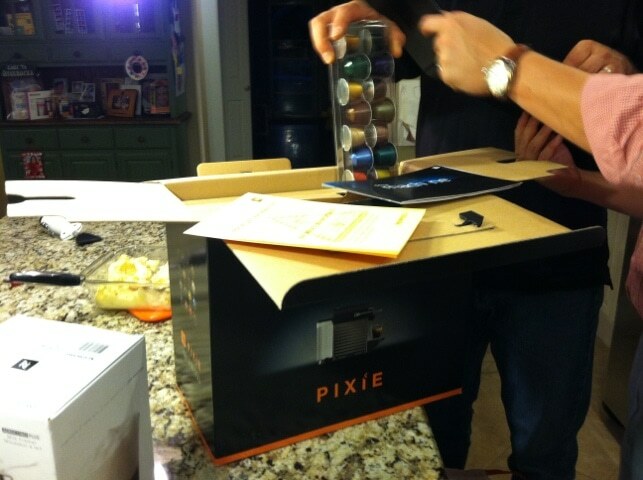 Let’s talk about why the Nespresso Pixie is SO COOL. 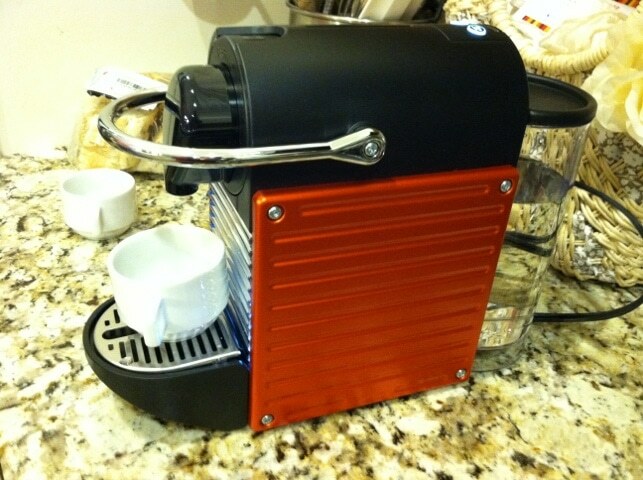 Not only is it portable, but with the touch of one button you have the PERFECT cup of espresso. Pixie is smart, fast and intuitive and fits seamlessly into your kitchen. The Aeroccino Plus foams milk making the Pixie the perfect gift for espresso and cappuccino lovers. 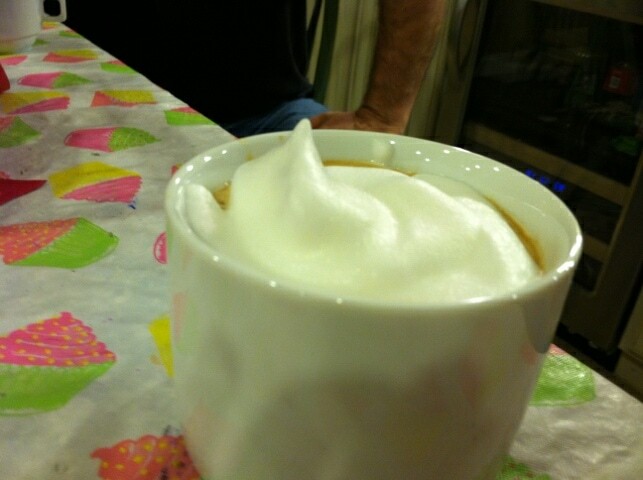 Have perfect foamed milk in about 70 seconds. Available on Nespresso.com and at select fine retailers. Pixie is priced at $229 and our Aeroccino Plus is priced at $99. Oh yeah. Our guests eventually caught Bill’s excitement bug. They were passing around the flavor list and opting for two or three more. MIND YOU IT WAS ABOUT 9:00 at NIGHT. I kept looking at the three of them like they had three heads. But it was so good -they couldn’t stop themselves. See these pods? Yeah, they are gone already!! We’ve only had the machine for a few days. My husband went PSYCHO on me as soon as this came to his possession. He is one happy camper!! He even enjoys foaming his own milk. The Aeroccino Plus machine is also REALLY easy. You fill with milk and press the red button. Voila! 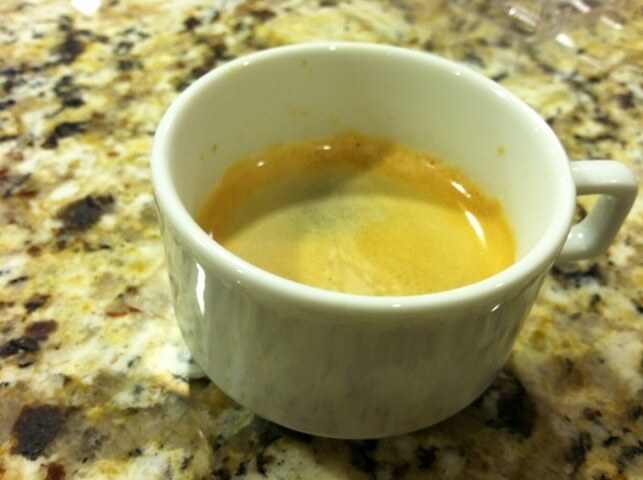 Grab a spoon and top your espresso with a cloud of bliss. 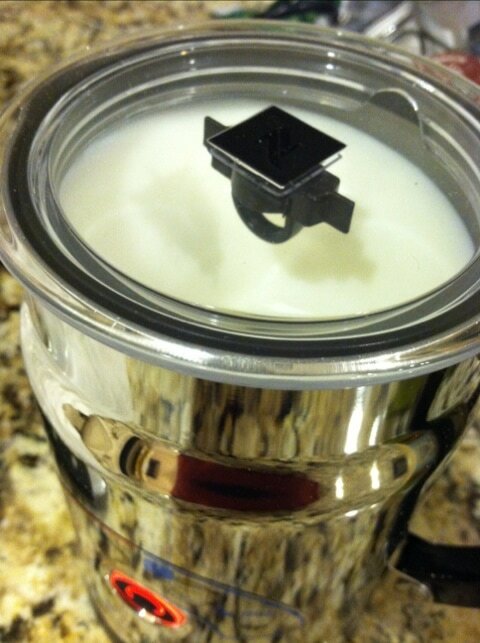 Seriously, if you know someone who is a coffee lover – this is THE GIFT to buy. 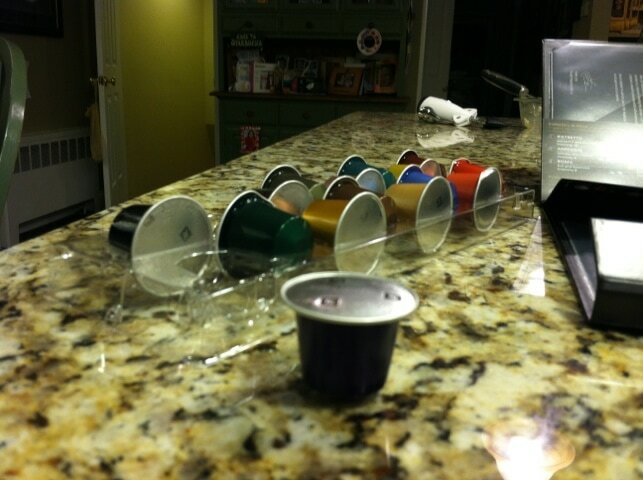 My husband hasn’t stopped raving about the Nespresso Pixie. He keeps telling me it’s the best thing he’s ever owned. mmm…would love a cup right now ! He looks happy! 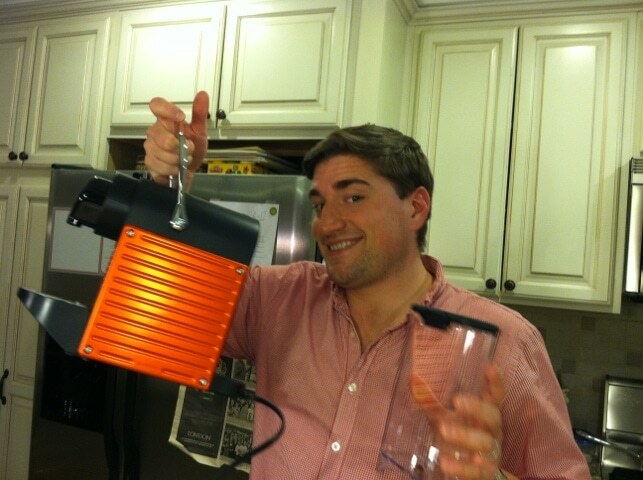 I’ve been looking for a good milk frother for a while now, and it’s hard to locate one. I love your article. One thing that I love about the Aeroccino Plus is that it’s quite. No noise!